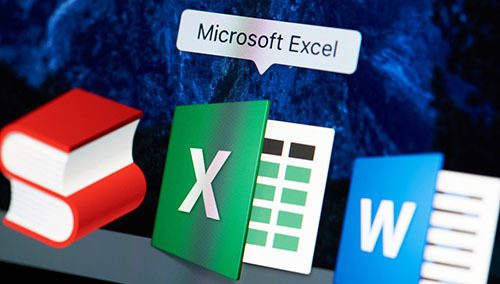 Excel 2019 is here, and we've compiled 5 tips that will help you master the latest version of Microsoft's essential program. With more than 63% of companies in the United States relying on Excel, it's important that we all understand as much of it as we can. Microsoft likes to change things up (often for reasons we don't understand), and we must keep up. Here are 5 ways you can do that with Excel 2019. If you struggle to find your worksheets, you'll love the "Recent" section. You can quickly access a list of the workbooks you've opened most recently instead of having to slog through folders to find something you just closed. While the option defaults to a certain number of workbooks, head to the "Advanced" section of the "Options" menu to adjust how many Excel should show (it goes up to 50!). If you've struggled creating tables in the past, you'll love the latest shortcut. Click within the parameters of the data you want to use and press Ctrl+T and voila. Instant table! When you're working with large sets of data, it can be hard to clearly see the data. Instead of manually hiding cells with zero values, find the "File" drop down menu. Then, go into "Options" and find "Advanced". You'll see a box that says "Show a zero in cells that have zero value" — uncheck it, and you're good to go. When working in large worksheets, you want to ensure you're not only seeing the correct results, but that the formulas are accurate as well. To do this more quickly, use the Ctrl+~ to toggle between the two. It's never been easier to create a pivot table with Excel's build-in PivotTable and PivotChard Wizard. You can find them in the "Data" drop down menu. You can use these helpful tools to choose the data, select the format, and create a pivot table faster than ever before. These are just a few of the many ways Excel 2019 is going to make life just a bit easier for those of us who work with Excel regularly. However, Excel 2019 isn't the only option on the market. Excel 365, Microsoft's Excel subscription option, is nearly as common. We'll examine the difference between the two in an upcoming blog post.